Prior to co-founding Petrie Partners, Mr. Hughes was a Managing Director in Bank of America Merrill Lynch's Global Energy & Power Group. 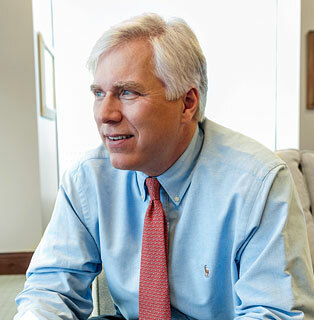 Prior to the merger of Petrie Parkman & Co. into Merrill Lynch, Mr. Hughes was Head of Investment Banking at Petrie Parkman and a member of the firm's Board of Directors. Before assuming that role, Mr. Hughes was head of the firm's mergers and acquisitions business. Mr. Hughes joined Petrie Parkman at its founding in 1989 and has been extensively involved in energy merger, divestiture and strategic advisory assignments since that time. Mr. Hughes earned his B.S. degree (high honors) in Petroleum Engineering from the University of Texas at Austin. He has spoken before numerous industry groups and participated as a member of multiple industry panels.